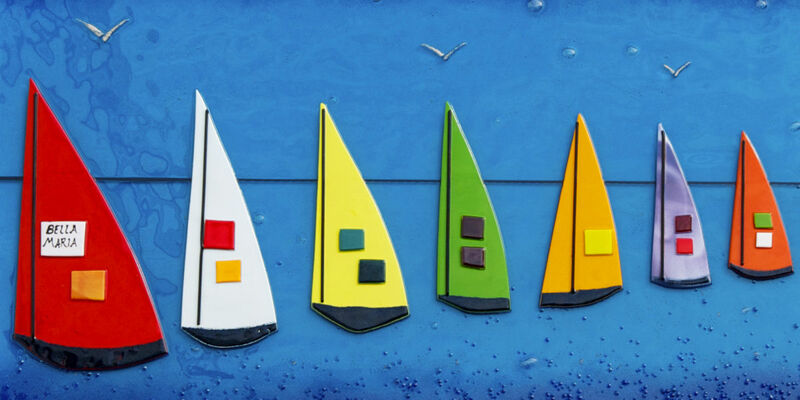 Sailing boats going across the sea. 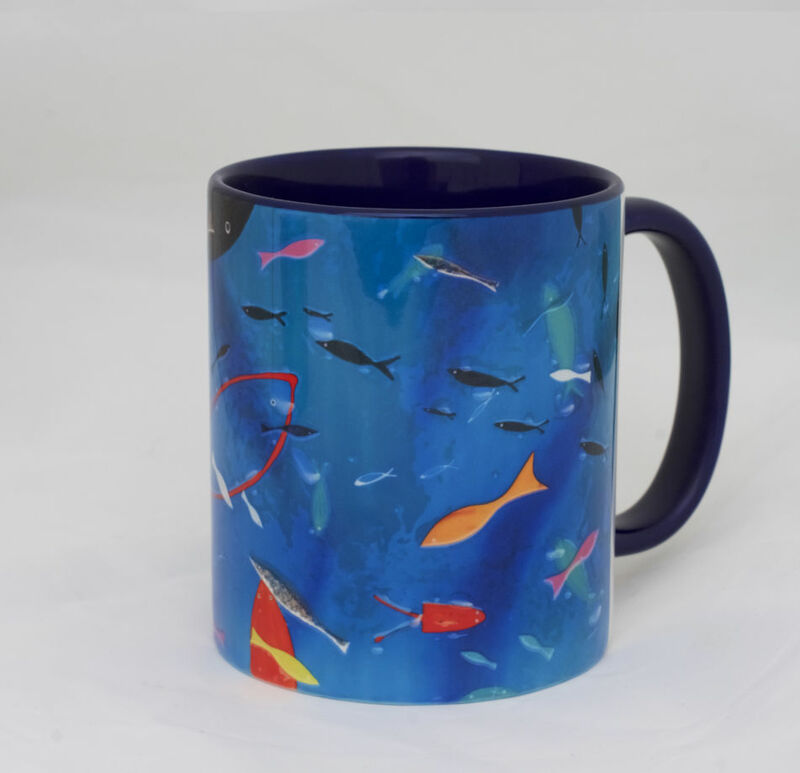 Above their colourful sails, birds can be seen trailing across the sky. 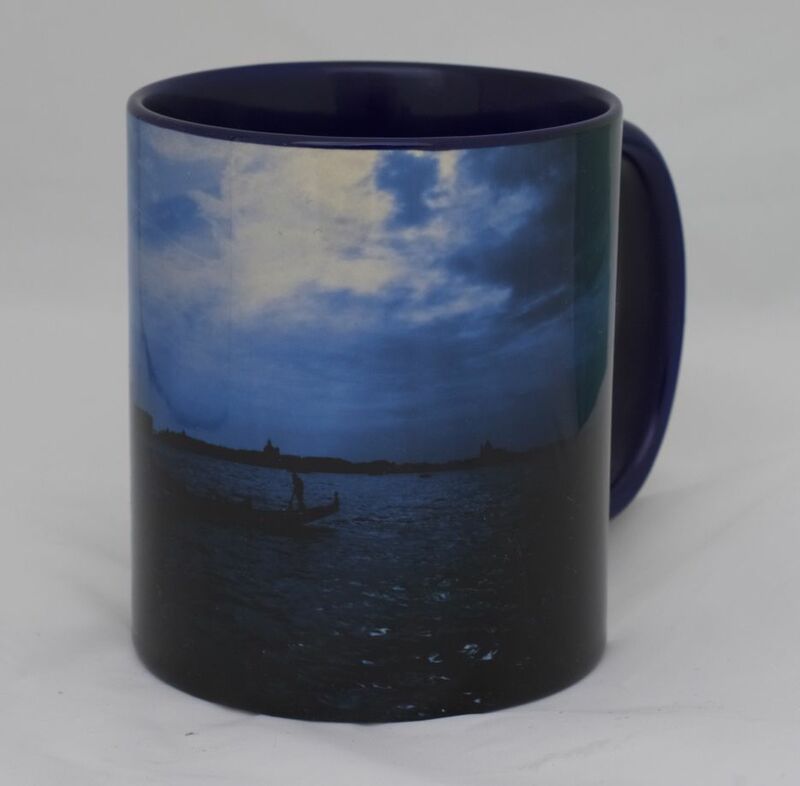 In the foreground, you can see the sea rising to meet the boats as they continue their journey. 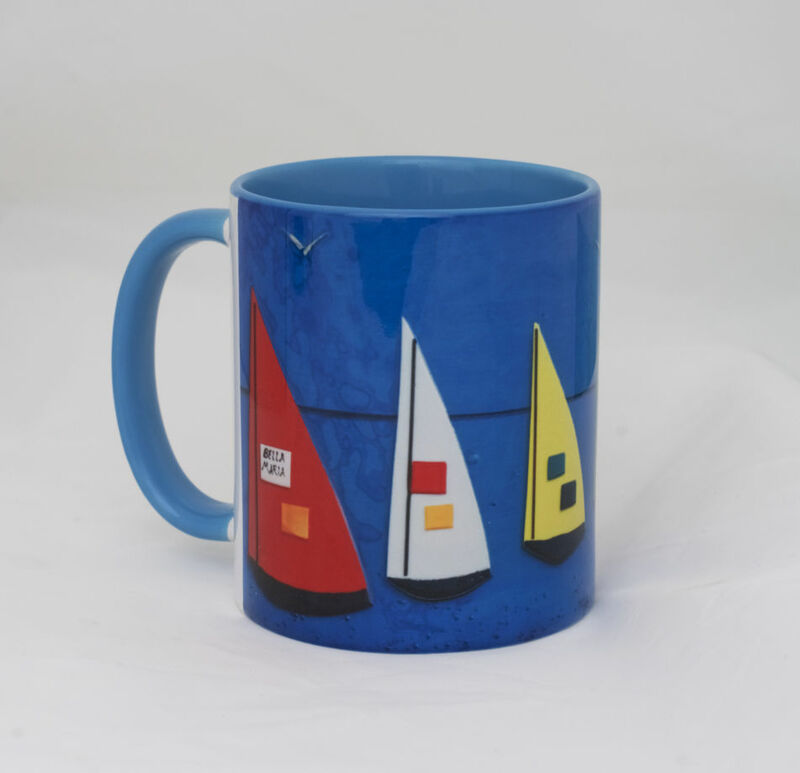 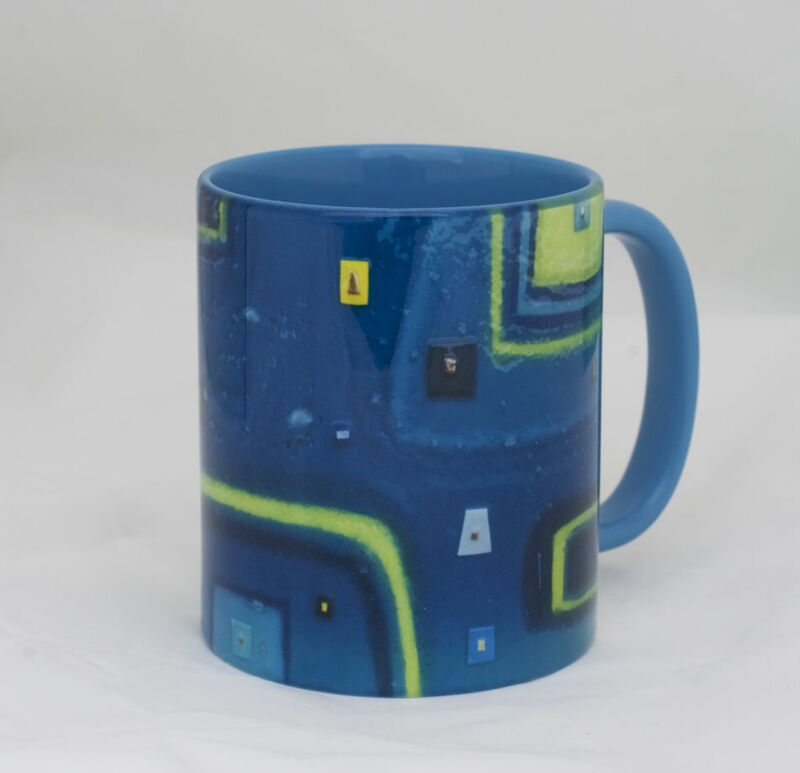 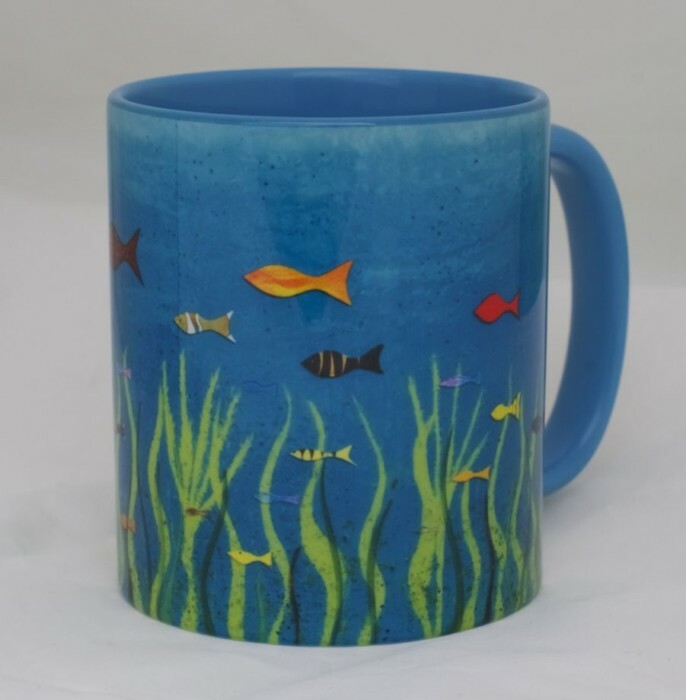 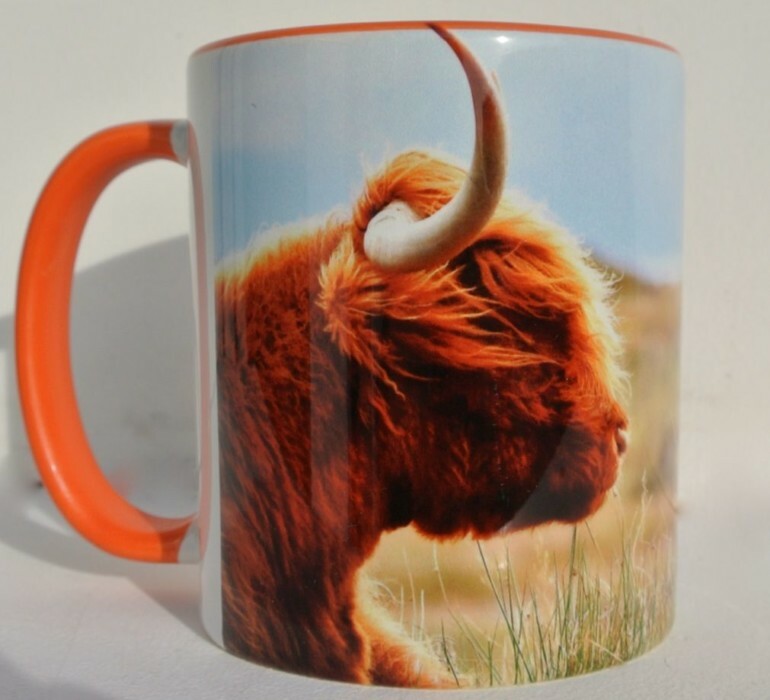 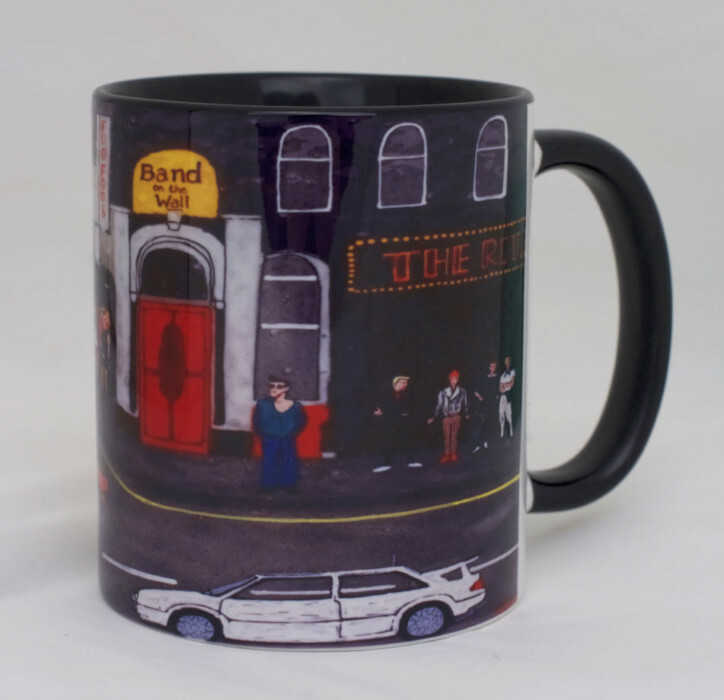 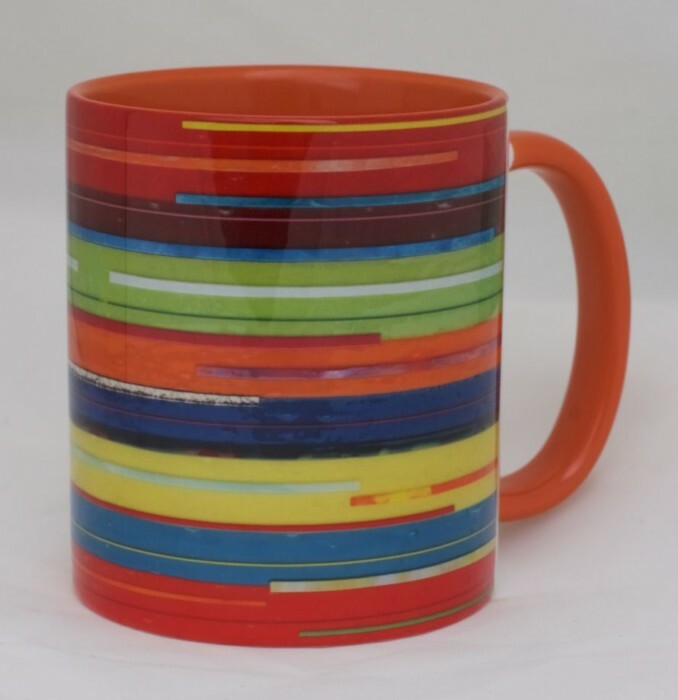 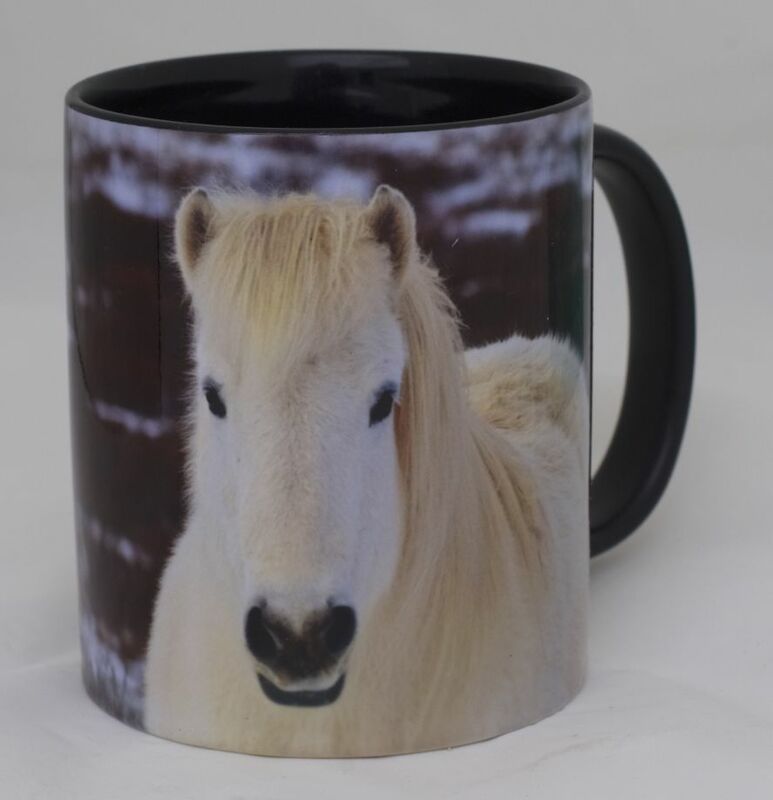 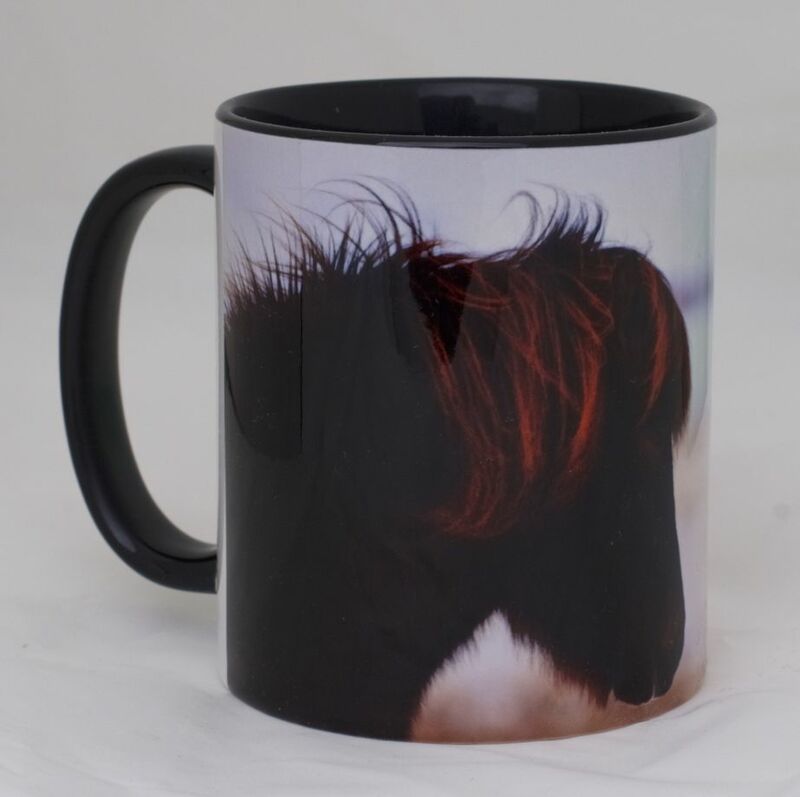 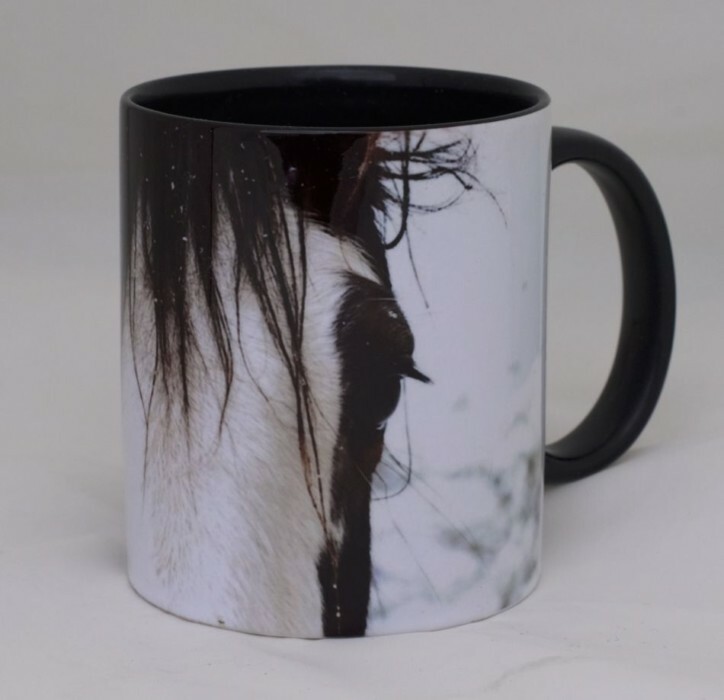 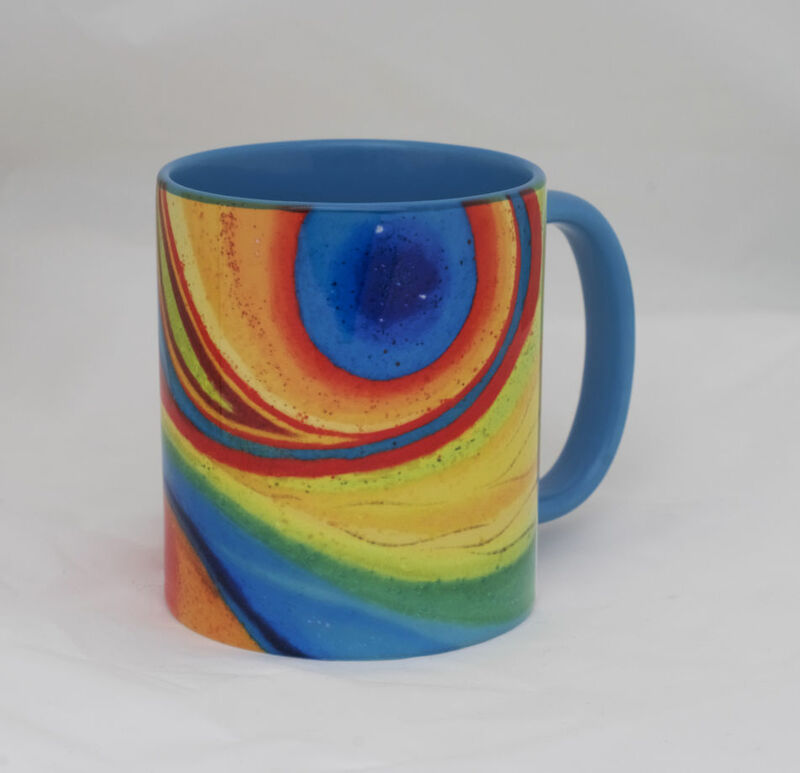 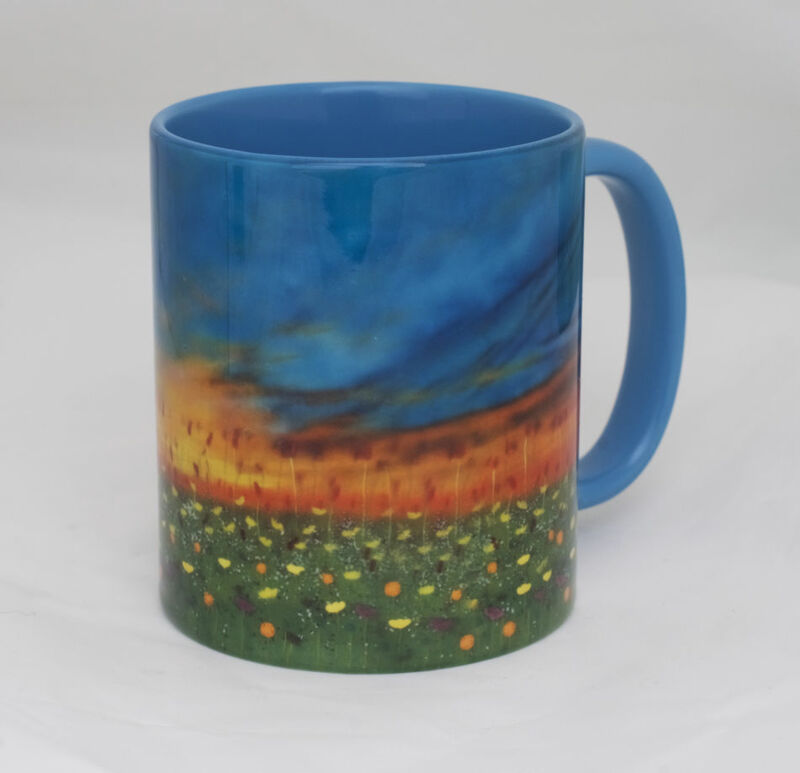 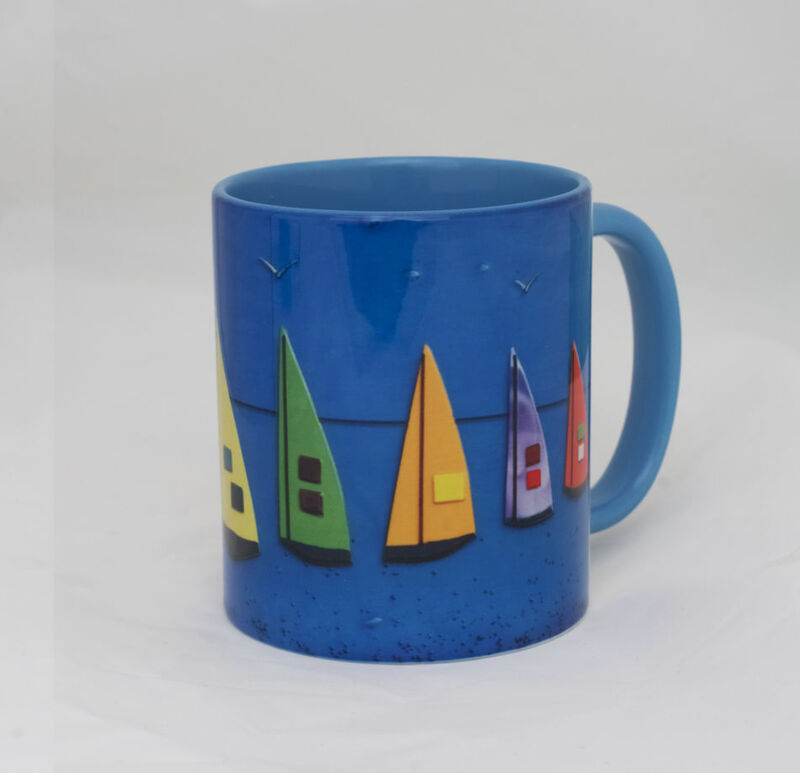 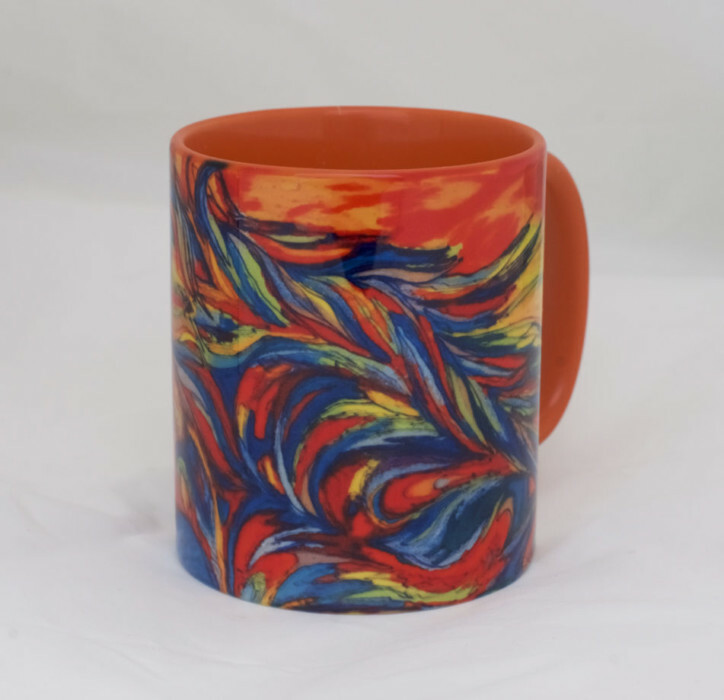 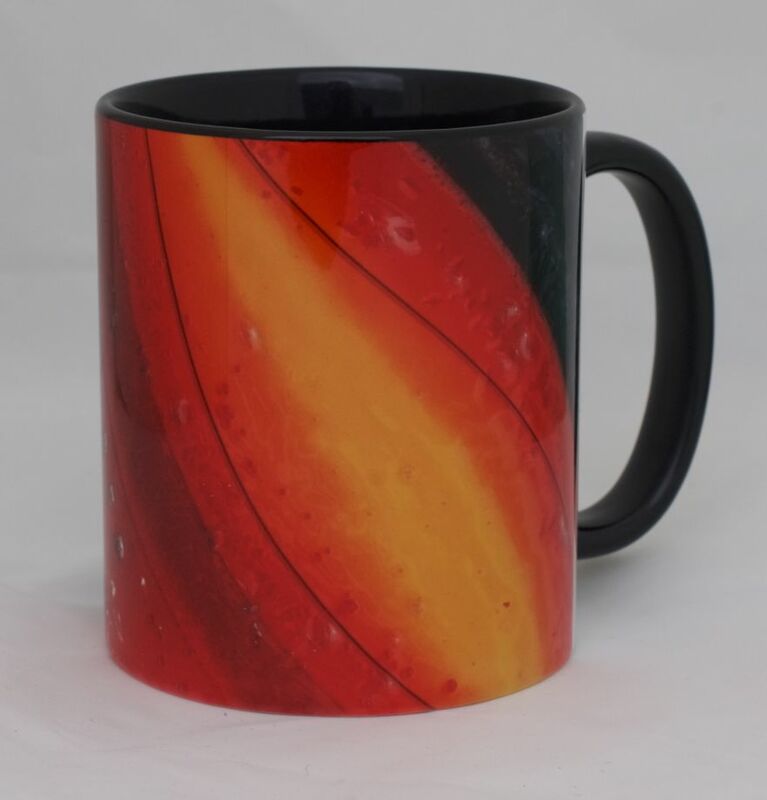 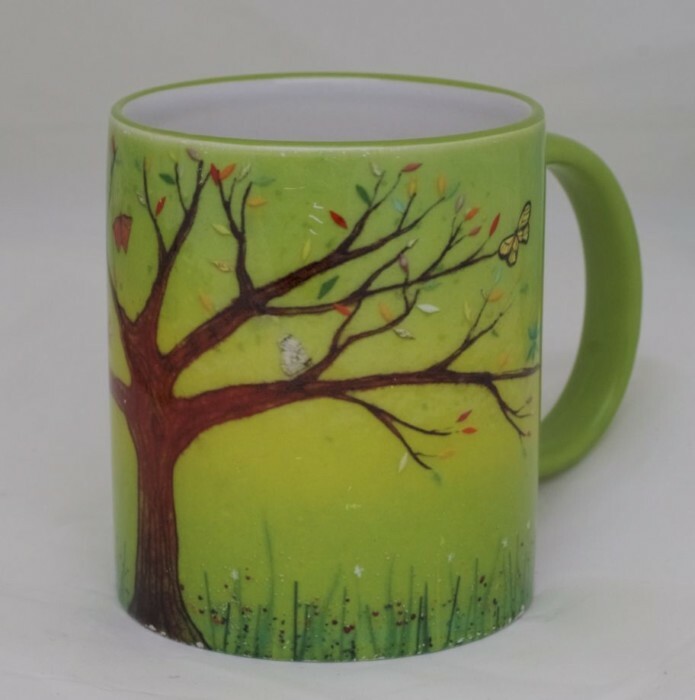 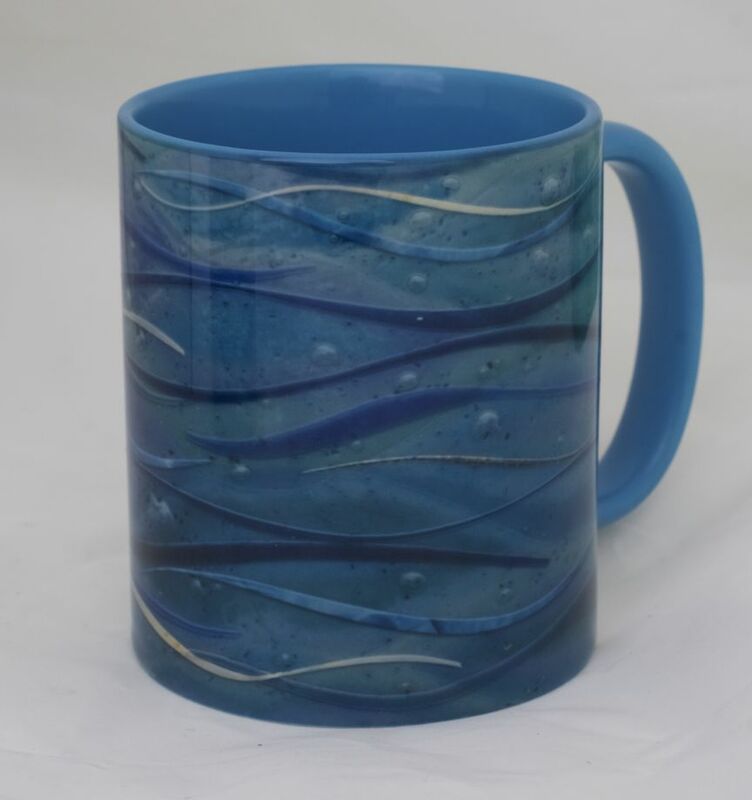 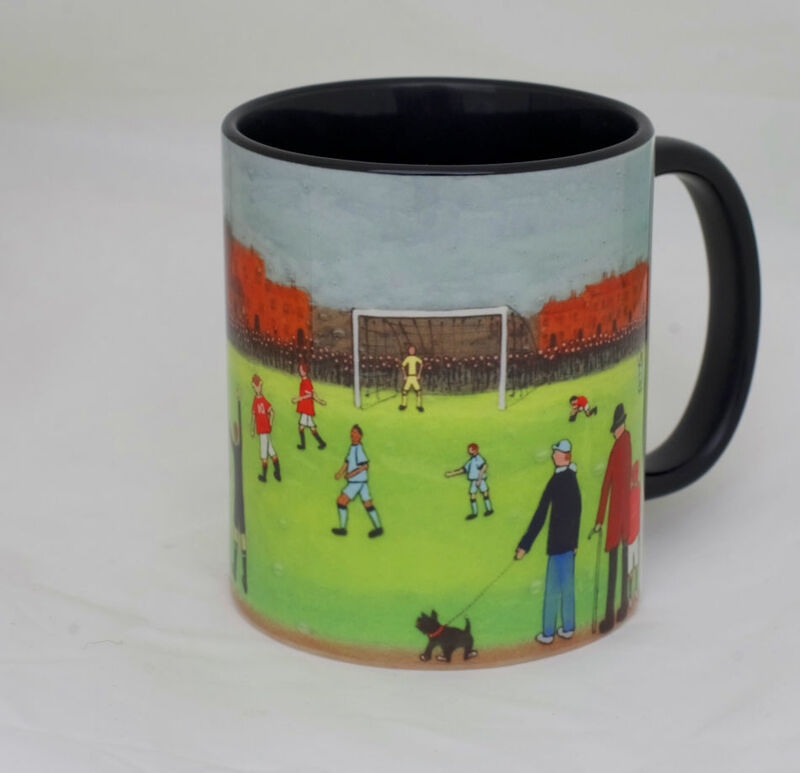 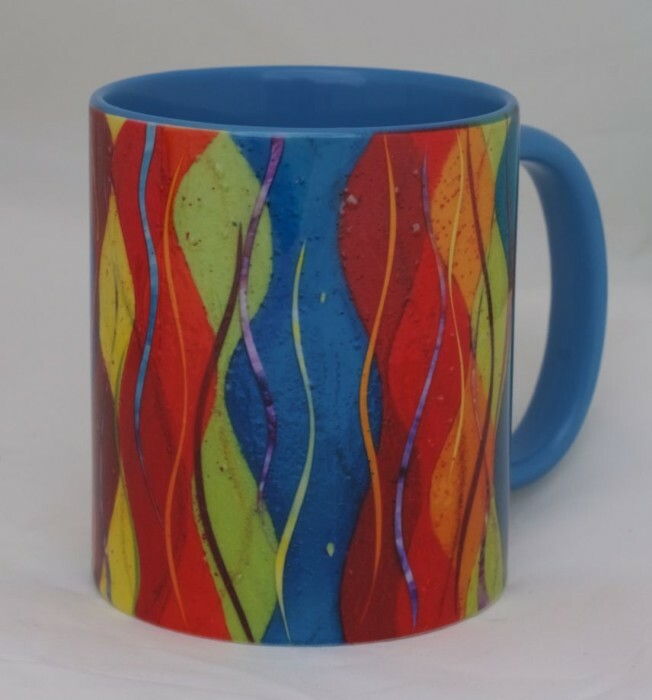 Definitely a great mug, and one that mirrors some of our fused glass art designs. 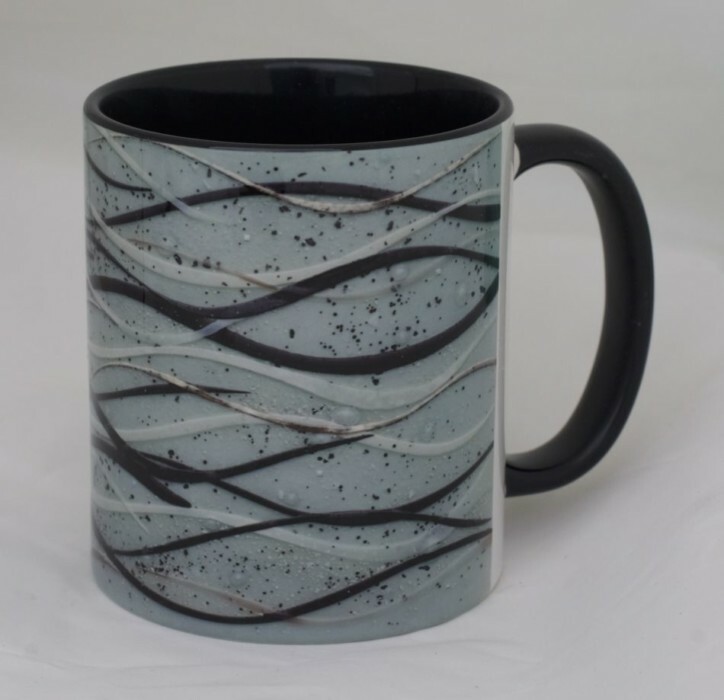 We definitely love the style and feel of this design.